Telstra Tech Savvy Seniors at the Library! 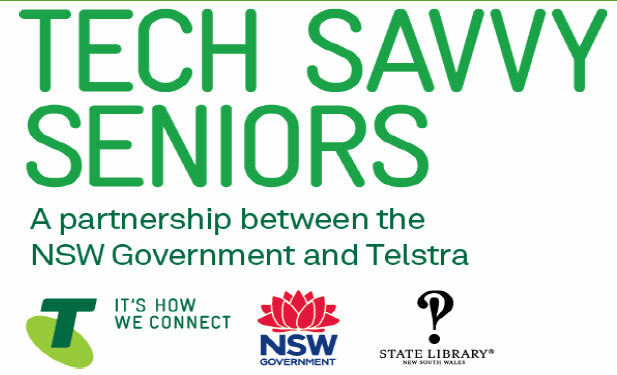 Lithgow Library and the branches at Portland and Wallerawang will be holding Tech Savvy Seniors classes on Thursday mornings between 10am and 12pm starting from 8 February 2018. Here is your chance to catch up with the grandkids or learn more about those pesky devices that are becoming an essential of life. Bookings are essential for the classes and can be made by contacting Lithgow Library on 6352 9100. To get the most out of your sessions please bring your portable device with you. A public launch is soon to be held for a recently completed first phase of the photo digitisation project, which now allows widespread access to 600 of the extensive local historical photographs held by the Lithgow Library. At the recent opening of the new rotunda at Portland, Mayor Stephen Lesslie asked those present to look through their cupboards and storerooms for those old boxes of photographs that everyone used to keep. “Should anyone find old photographs of historical interest such as street parades or old buildings that have since been demolished then please let the Lithgow Library know so that they can be preserved,” Cr Lesslie said. Historians and researchers, or anyone with an interest in Lithgow, can gain a valuable glimpse of what life was like in Lithgow’s early 19th and 20th century history through historical photographs. By making these photographs accessible through the online catalogue anyone can access them, even when the Library is closed. A selection of almost 600 photographs from the extensive Lithgow Library and Lithgow District Historical Society collections has been digitised and uploaded to the Library catalogue record which makes access to the photographs possible outside of Library hours. The event will be followed by a light lunch. Bookings are preferred and can be made by contacting the Library on 6352 9100. If you are interested in browsing through the photographs head to the Library webpage at http://library.lithgow.com/. Access is via the catalogue link and the best way to find the photographs is to use the advanced search option and select photographs from the collections box. Lithgow Library is supporting the Chief Scientist’s Storytime Pledge, launched on 14 December 2017, asking people to read a book to a child this holiday season. We are proudly one of Australia’s 1500 public libraries who together run 121,000 storytimes every year, attracting more than three million participants. We contribute to the STEM (science, technology, engineering, math) agenda and to the digital economy, and are happy to support the Storytime Pledge campaign. Early literacy is the essential building block for your child’s success, so join in, and add your pledge to read a book to a child using the twitter hashtag #StorytimePledge. And don’t forget to join us for our special Santa Storytime on Wednesday 20 December 2017at 10.30am! Carrying books away on holidays or surviving library holiday closures is a little less painful with access to high quality resources available online. Lithgow Library’s eBook service Axis 360 is the perfect way to find something to read while the library is closed for the holiday break. To access the library eBook service you will need to have a library card and pin number. You can do this by joining online or by updating your details in person or over the phone at any Lithgow Library branch. Once you are armed with your access numbers head to the library website, library.lithgow.com and follow the links to find out how to use Axis 360 and start downloading eBooks. 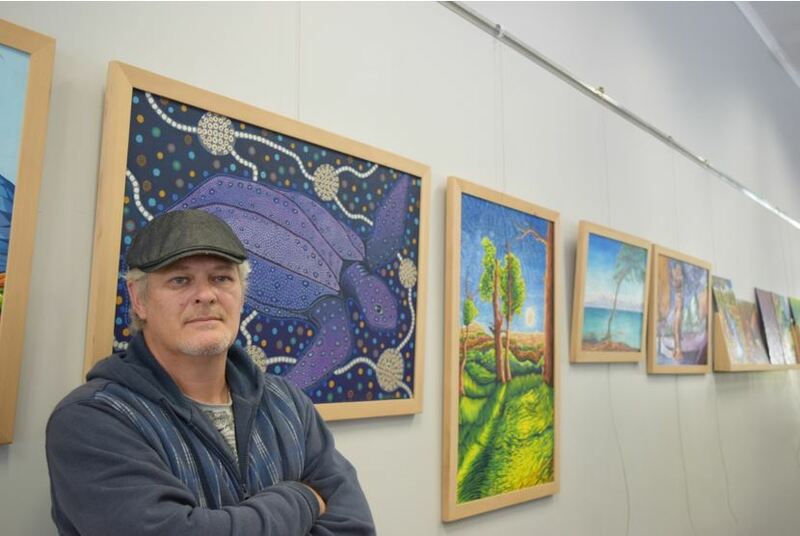 Local artists are invited to submit an application to display their work for a month during 2018 at the Lithgow Library Learning Centre. The library has a new gallery hanging system for displaying art and provides a media release, posters, web and social media advertising as well as facilities for celebrating the opening of the exhibition. For more information on exhibiting at the library or to make an application contact Sharon Lewis at Lithgow Library on 6352 9100 or Lithgow.library@lithgow.nsw.gov.au. Lithgow Library celebrated International Day of People With a Disability at our Storytime session this morning. Our wonderful guests, Dan and Samantha, read stories and answered questions about living with disability. Everyone enjoyed a fun morning of stories, songs, craft and morning tea. The Library offers a huge ‘Thank you!’ to Dan and Samantha for joining us and sharing their stories. As part of the general Council holiday closures, Lithgow Library will be closed from 12pm Saturday 23 December until 9am Tuesday 2 January 2018. From Tuesday 2 January until Friday 5 January Lithgow Library will operate on reduced hours between 9am and 1pm. The library will be open between 9am to 12pm on Saturday 6 January. Normal hours will resume on Monday 8 January 2018. Portland and Wallerawang libraries will be closed from 12pm Saturday 23 December 2017 until 10am Tuesday 9 January 2018. Book return chutes will be open at all branches during this time. Member access to our eBook service will also be available during this time. To access the library eBook service you will need to have a library card and pin number. You can do this by joining online or by updating your details in person or over the phone at any Lithgow Library branch. Once you are armed with your access numbers head to the library website, library.lithgow.com and follow the links to find out how to use Axis 360 and start downloading eBooks. Summer Reading Club is back! This year the theme is GAME ON. From December 1st register for SRC at your local Library and record all the books you read over the summer. Everyone who registers gets an activity booklet and a bundle of these goodies! And once you return your book log with at least 15 books you have read you go into the draw to win a major book bundle! !